Amy McCullough is a Partner and member of Trilogy’s investing team. She is currently a board member at Trilogy portfolio companies Red Tricycle and a board observer for Jobaline.com, Remitly, and Coolr. She joined Trilogy in 2007, after four years in the investment bank of JPMorgan Chase in New York. Amy was an equity research analyst covering the Small and Mid-Cap Applied Technologies sector which included more than 35 companies with a combined market capitalization of over $70B. Prior to being an equity analyst, Amy was an Assistant Treasurer in the Treasury and Security Services division of Chase where her primary responsibilities included derivatives and equities consulting services for clients of the firm. 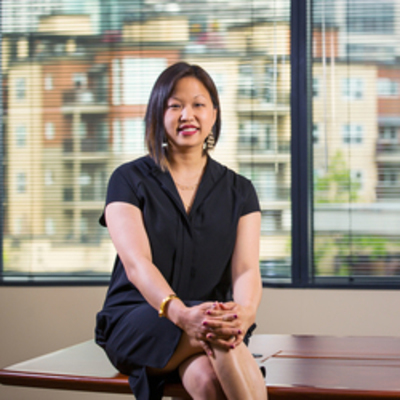 A Seattle native, Amy began her career in Microsoft’s Treasury department working with the Treasury Operations team and the Portfolio Management Group. Amy holds a BA in Business Administration with a focus in Finance from the University of Washington.